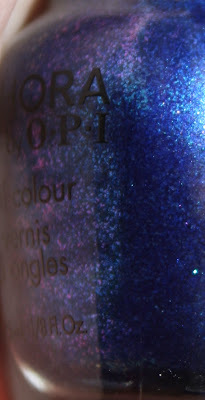 Macro shot of nail- see the purple flash? 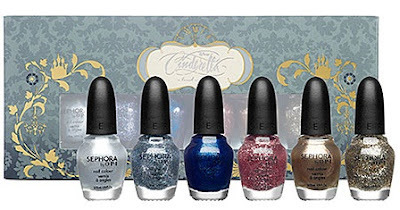 Here's another shade from the A Brush With Fate Nail Polish Set that was part of Sephora's Disney Cinderella Collection. Of course, the last few months have been crazy busy with the holidays so I am just now getting around to trying them out. I used 2 coats and found it covered well and evenly. 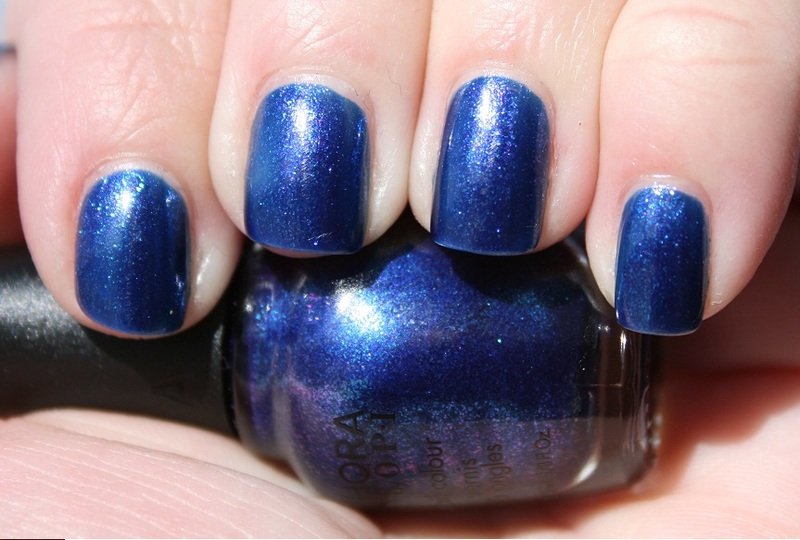 I topped it with one coat of NYC Grand Central Station. But what I loved most about this shade was the purple that flashed in the sun. 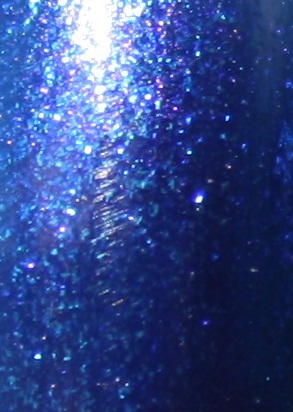 At first glance all I saw was a blue shimmer base with turquoise and silver blue crushed flake glitter. But in the sun- purple pops out! So so pretty!